In Hamhung, the country’s second largest city three hundred and seventy mortar rounds were found in an elementary school playground in October last year, with a rusted, lethal round discovered nearby in February this year. In the region this lethal legacy is mirrored in: “Vietnam, Cambodia, Laos and even Japan”, with a “huge amount of unexploded ordnance” needed to be disposed of by those courageous enough to risk their lives, daily, doing it. It is thought that possibly a third of the bombs did not explode and over twenty thousand people have been killed by unexploded ordnance since. Less than 1% of these munitions have been destroyed, with commensurate deaths and maimings ongoing. The US is undoubtedly the “Leader of the Free World” in one thing: killing. It is also clearly the undisputed king of overkill and the most murderous of legacies, ensuring its actions will never be forgotten or indeed forgiven by the populations affected. Which of course, is why North Korea is trying to ensure it is powerfully enough armed to deter another attack. Whatever it has or has not achieved in this respect, compared to America’s planet threatening nuclear arsenal, it is utterly insignificant, for all Washington’s undiplomatic, bombastic bluster. Secretary of State Rex Tillerson statement regarding North Korea that: “(Trump) has made it clear to me to continue our diplomatic efforts – which we are. As I’ve told others, those diplomatic efforts will continue until the first bomb drops”, is hardly likely to encourage anything but frantic efforts at armed deterrence – whilst still clearing the poisoned legacy from over half a century ago. 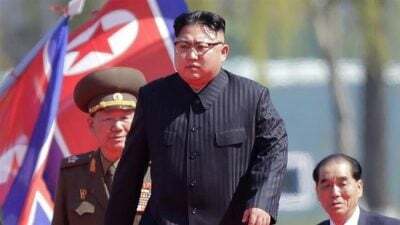 North Korea has said that 400,000 bombs were dropped on the capitol, Pyongyang: “roughly one bomb for every resident at the time.” 32,500 tons of napalm was also dropped on the country. Some bombs are not easily recognizable to the untrained eye, Major Jong pointed out, thus an eleven year old lost his fingers investigating an item he had found. There are a “surprising variety.” He described one as a “butterfly bomb” which had “wing like attachments to disperse small ‘bomblets’ over a wider area.” It was “devised by the Nazis in World War 11. 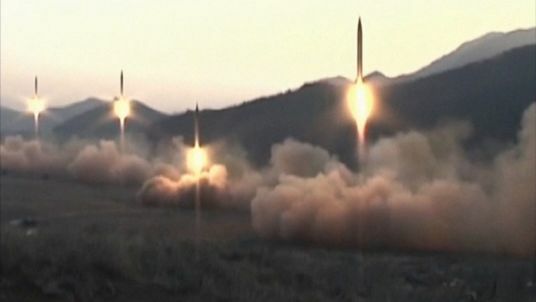 The US revised its design and used them in North Korea”, points out Associated Press. Aging bombs become even more unstable, rust erodes detonators, thus the slightest movement causes them to explode. Has anyone on Capitol Hill heard of “cause and effect”?